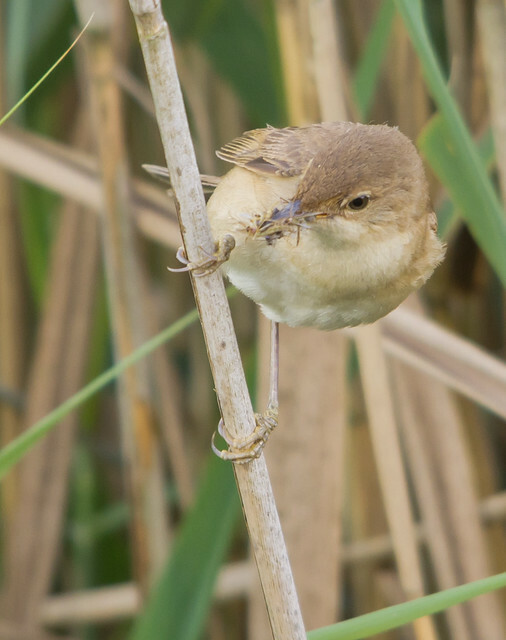 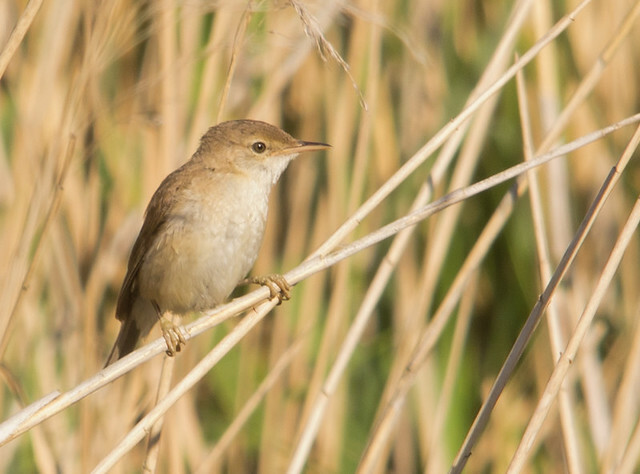 Back in July I was in one of the reed bed bird hides looking for the nest I had been told about. 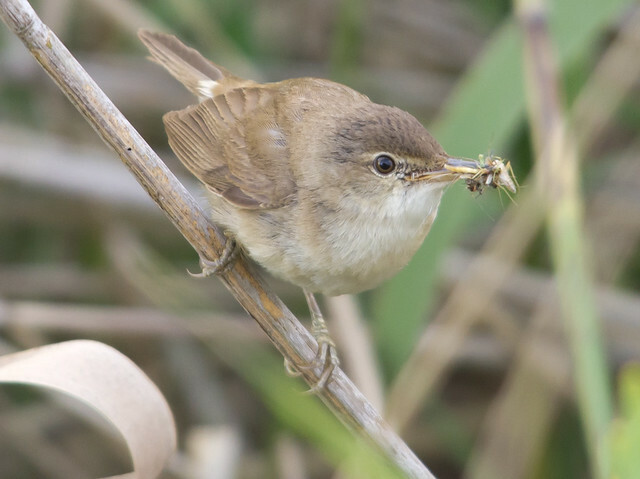 There were at least 2, perhaps 3 pairs of adults taking food to their young. 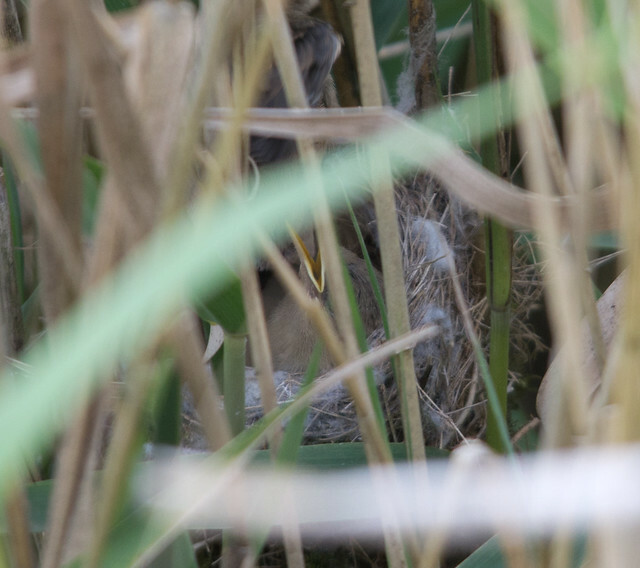 After watching the adults and moving up to the upper floor and looking down I spotted the nest. 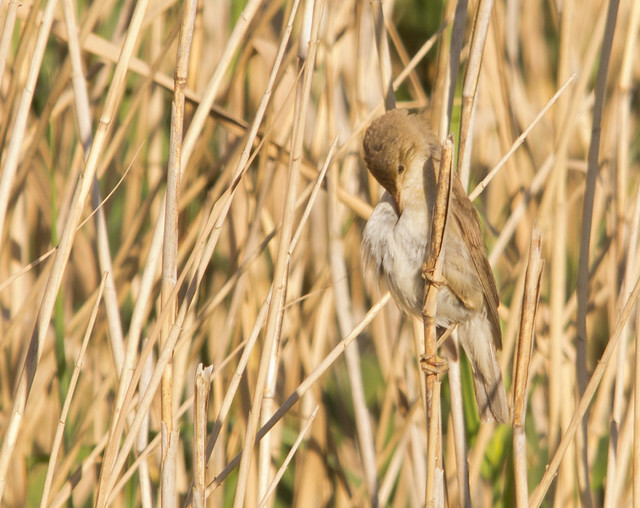 It was fantastically camouflaged, so well that when I took my eye off it I lost its position in the moving reeds and It took a while to find it again!